Published By – Noslen Music Co. Licensed From – UMG Recordings, Inc. Recorded at Plaza Sound Studios, New York City on February 2nd and 3rd, 1970. Matrix / Runout (Side A etched runout): BEWITH 020 LP.A1 F.T. Listening now, and cleaned with and Audio Desk System Pro, hearing clicks on the first song. Surprised as I just bought 8 albums from Be With records. Will update when I get through the album. Have to agree with the earlier post. Sublime record to own. Splendid pressing and a well presented package. From start to finish I did not hear a single pop or crackle. Even if your pressing isn't perfect, the music will be... Buy on sight. 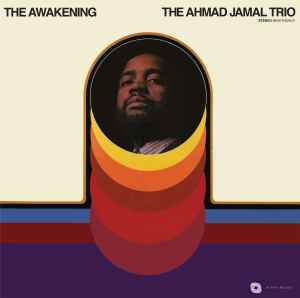 Exquisite and contemporary piano work from Ahmad Jamal. A couple of originals and 2-3 standards including a paced version of Hancock's Dolphin Dance and a great rendition of Stolen Moments. Very well recorded session and a phenomenal reissue from Be With Records. Originals are very hard to find. Top sound on this one! Sounds good to me but don't take that too seriously.